Happy Sunday, everyone! I received this water bottle from Mighty Mug last month. In case you do not know what the mugs from Mighty Mug do, they actually produce mugs that would not fall! Not gonna lie, I have never heard or thought of anything like that before. Therefore, I was so happy to receive the bottles from them. Ever since I received them, I used them all the time especially at home. Since I'm a student/part time blogger and it is summer holidays now in Hong Kong, I used computer in my room all the time. That being said, I have to use mug because I need to drink something when I am using computer. 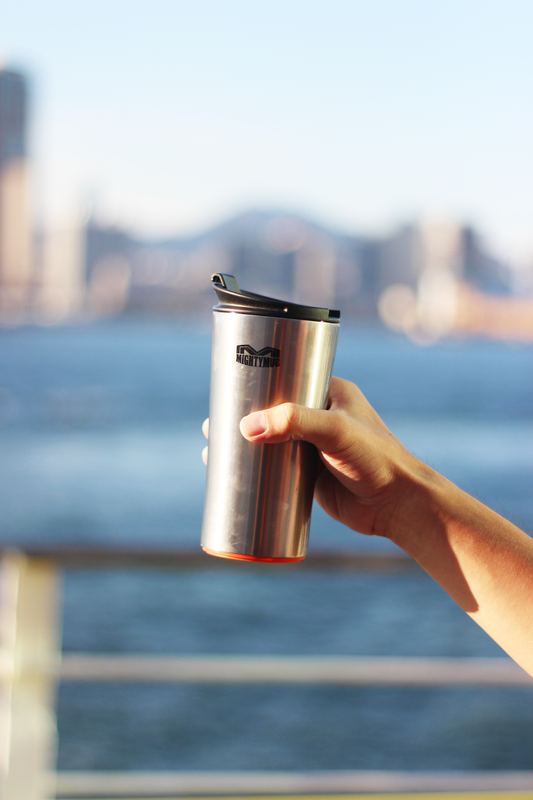 I definitely love this stainless steel mug because it seriously would not fall no matter how hard I push it! It is so important that the water bottle should not fall easily because I use computer next to it all the time! Can you imagine if I use cup instead of this Mighty Mug next to my computer? Any accidents could happen! Luckily, this mug can minimise the problem. You can click the video here to check out how this mug works! 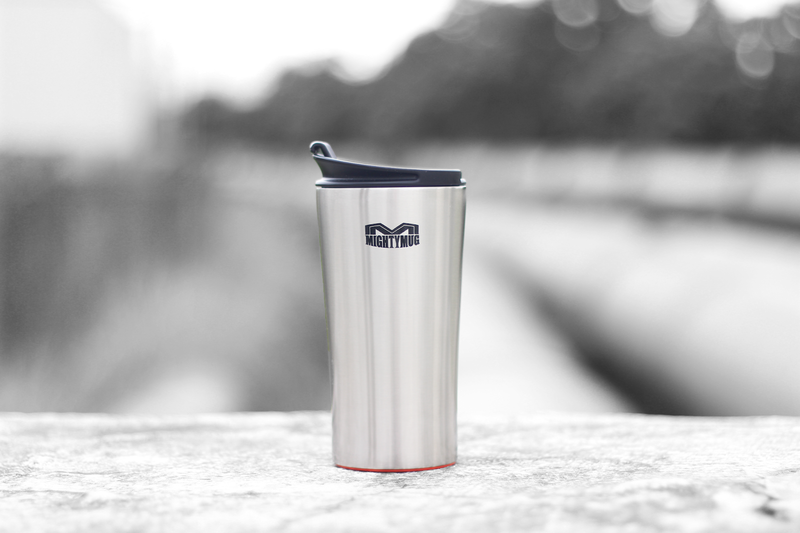 Also, another special feature about this stainless steel mug is that it could keep the beverages warm for 6 hors and cold for 14 hours. In order to see if it works, cold water was put inside the mug and then I carry it outside. After a few hours, I drink the water and it still feel cold! How fantastic is that?! It's soooo cool ! I spilled Coca Cola on a laptop many years ago, so this is definitely a good idea! Such a cool design, I love it! I've heard so many awesome things about this mug! I've never heard of such a mug! That is amazing!! I have seen a lot about these mugs and I think they are an amazing idea! This mug looks amazing. And it seems so practical as well! What a great product! As someone who has previously broken technology with a water spill, this seems perfect. This seems amazing! Looks great too. That's so cool! Sounds like a great design. I definitely need one..I'm always spilling around my work area. 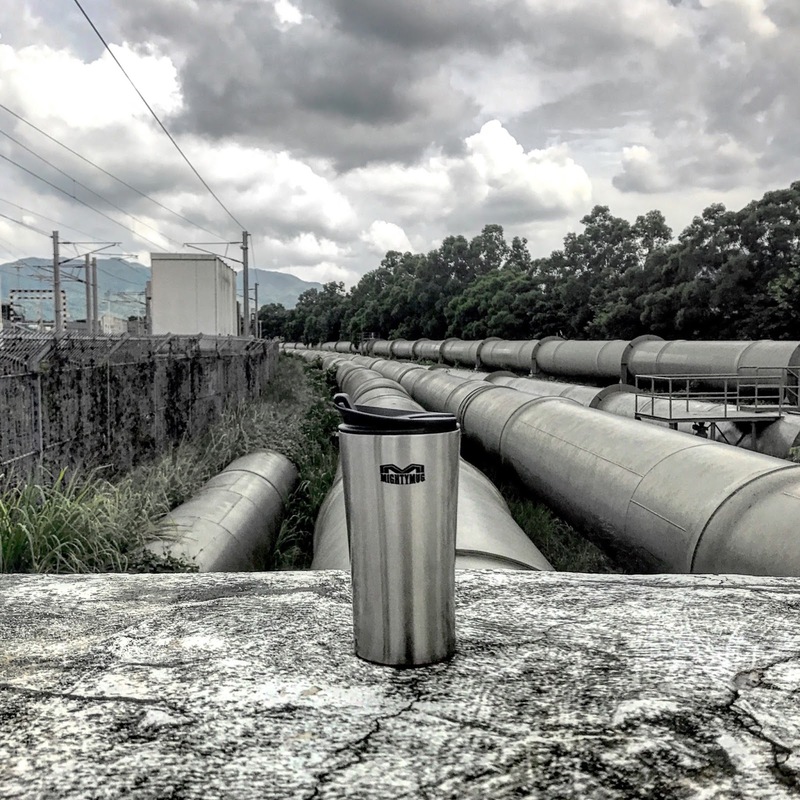 I like your post about mug! I like to doing my coffee for my univercity and put in a similar mug! Very nice and looks so modern with this material! I am Teo, a young greek blogger too on Euframe.blogspot.com! My blog is about life style, travel, photography and fashion trends! I would like to see you there and tell me your opinion too about my posts!